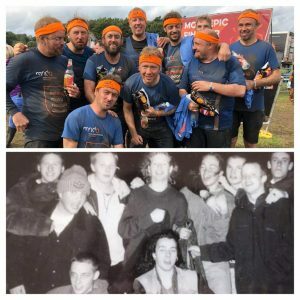 A proud son got together a team of friends to complete a Tough Mudder challenge in memory of his dad - 'the kindest man you could meet'. Jeremy Hoare from Levenshulme and nine mates he grew up with took on the challenge in the grounds of Chomondeley Castle. He deliberately chose something where the gang would be out of their comfort zone, as a 'fitting tribute' to dad Mike who always cheered the loudest for the underdogs. Jeremy was inspired to do something to raise funds for the Cheshire branch of the Motor Neurone Disease Association to acknowledge the support they gave the family through Mike's battle with the condition. 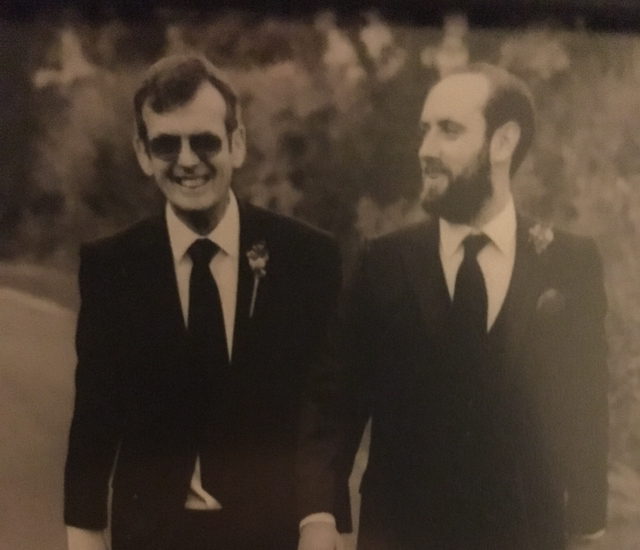 Mike, from Wilmslow, had been living with symptoms for several months without a diagnosis, with MND finally confirmed the day after Jeremy and wife Kate found out they were expecting their son Alf, now aged 18 months. In a cruel twist, doctors also diagnosed Mike with frontal temporal dementia alongside. Jeremy, an assistive technologist working with young people with special needs at Bridge College, said: "It was completely devastating as the doctor told us straight away he would probably have less than two years to live. "MND is cruel as it takes away the person you know in front of your eyes. It’s a slow deterioration of the person you love. The doctors warned us that the dementia might take away dad's kindness too. But in fact thankfully dad never lost this part of himself, he remained as he always was - kind, generous and supportive." MND is a fatal, rapidly progressive disease that affects the brain and spinal cord. It attacks the nerves that control movement; causing the muscles to waste away. It can leave people locked in a failing body, unable to move, talk, and eventually, breathe. Jeremy, aged 40, said the arrival of Alf had been a great source of hope and pride throughout an incredibly difficult time. "Dad was so looking forward to being a granddad and insisted on being called Gramps," he said. "The pride he had when Alf was born and when we handed him to hold for the first time just poured out of him. 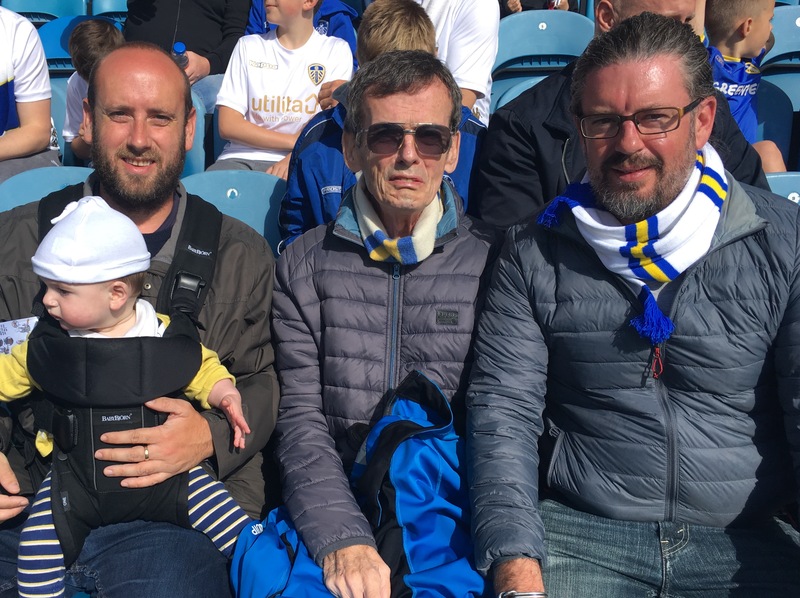 Dad even managed to take Alf to his first football match, nothing could have made him more proud." The support of the MND Association's Cheshire branch was also a huge help to Mike and wife Sally. They attended regular support group gatherings - offering the opportunity to chat with others facing similar challenges and experiences - and were visited by one of the charity's volunteers, Joel Millett, regularly. "Joel was a great support and offered guidance and support. All of this gave my parents time to talk through their concerns and feel supported. They enjoyed some good company and a bit of fun, in those sometimes dark days." Mike died in October last year aged 70, after a courageous battle. "Although MND attempts to take every bit of dignity away from you, Dad held his head as high as he could," Jeremy said. "He never complained once, and he remained the kindest of men even when his mind was slipping away from him." The team's Tough Mudder challenge has raised an incredible £5,140 to support the branch's work for others facing the condition in Cheshire, with some of the funds also going towards research. Jeremy said: "We were all dreading it - but on the day it was actually really good fun! "It was unbelievably tough but great to have the support of my mates and there is no way any of us could have made it round without each other dragging, pushing and pulling each other over the obstacles. It felt like we had done our families and all the people who had donated to the MND Association proud. And it felt a fitting tribute to my Dad who was always the loudest to cheer in support of anyone who deserved it." To sponsor the gang visit https://www.justgiving.com/fundraising/tom-sweaty.